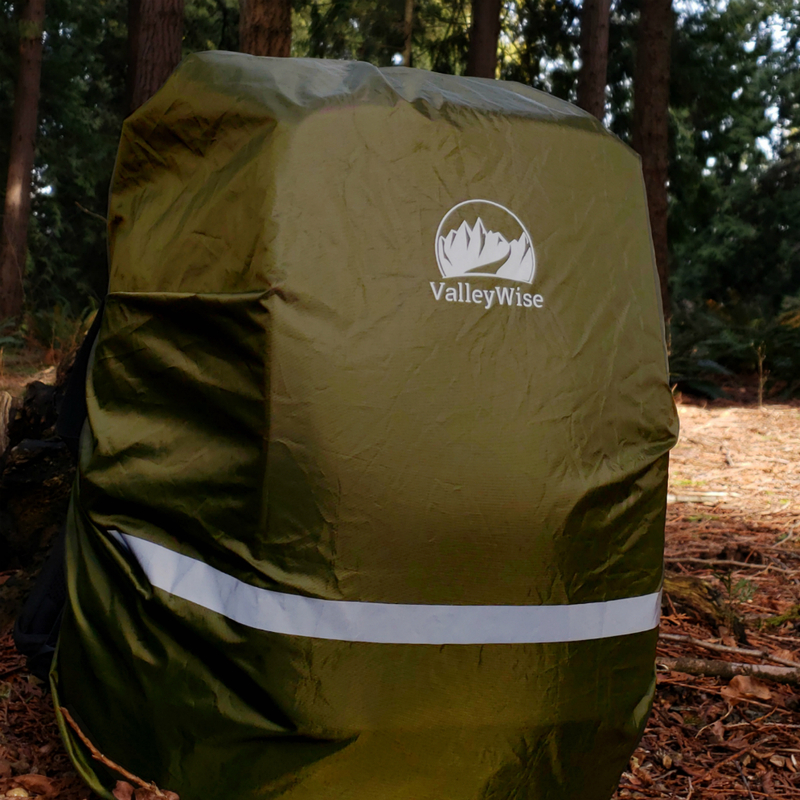 Whether you are commuting to work or hiking your favourite trail, you can count on our Backpack Rain Cover to maintain integrity for the long run. 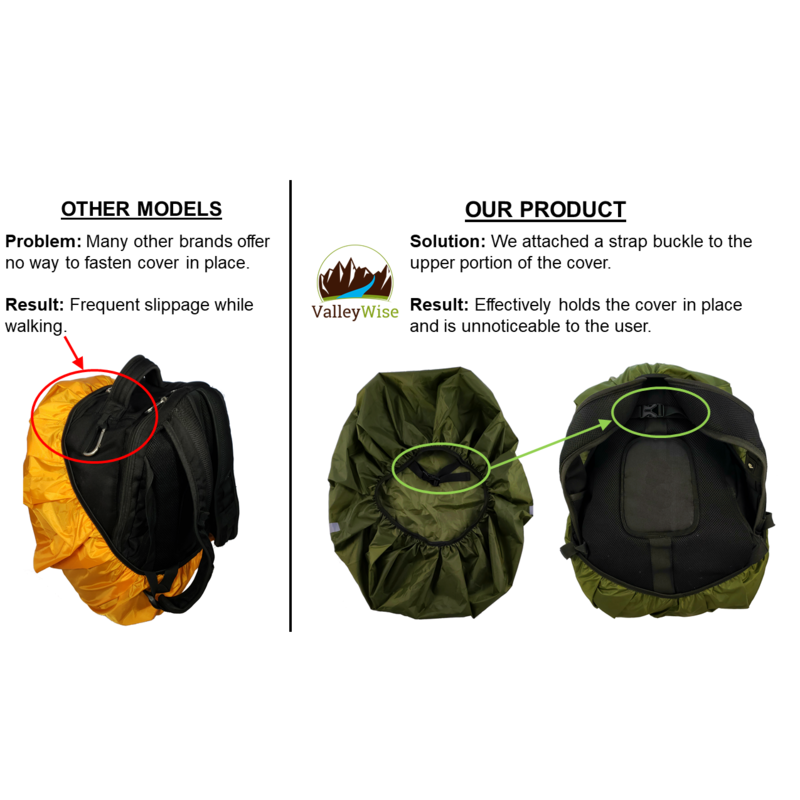 Unlike many other models, we’ve installed a small, strong strap buckle to the upper portion of the Backpack Rain Cover which fits snug underneath the backpack straps. This ensures that the upper portion of the cover does not slide off the backpack while moving and it’s completely unnoticeable to the user. Our product is completely waterproof and will ensure your belongings are protected throughout any environmental or weather condition. We chose a design with a thin, sleek reflective strip that responds incredibly well to light. This is perfect for bikers commuting on a busy street, or just anyone who wants to ensure they are seen in dark conditions. 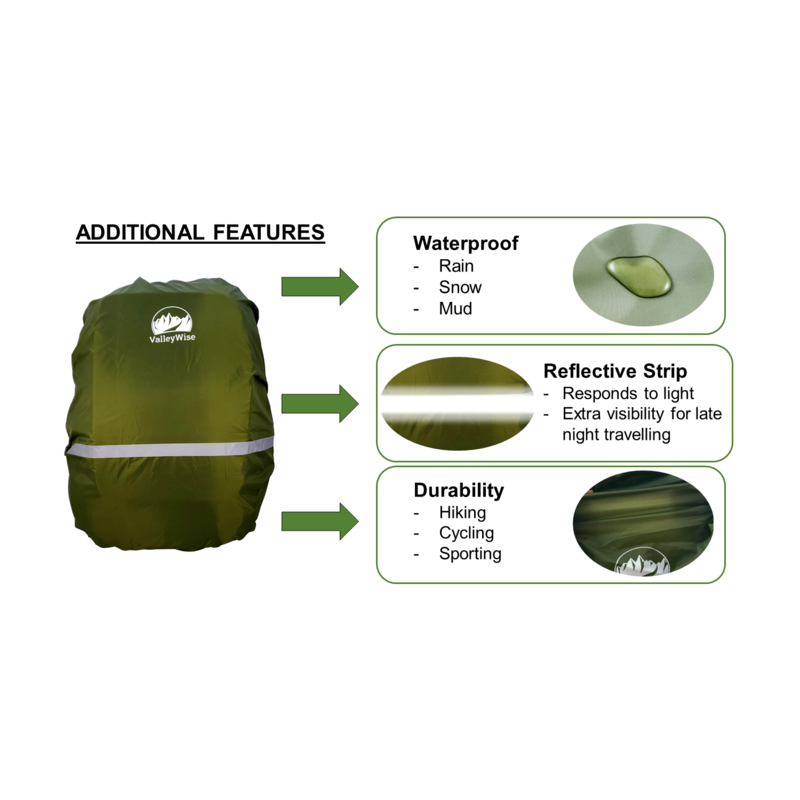 It is very common for customers to have difficulties finding the right Backpack Rain Cover size to use. 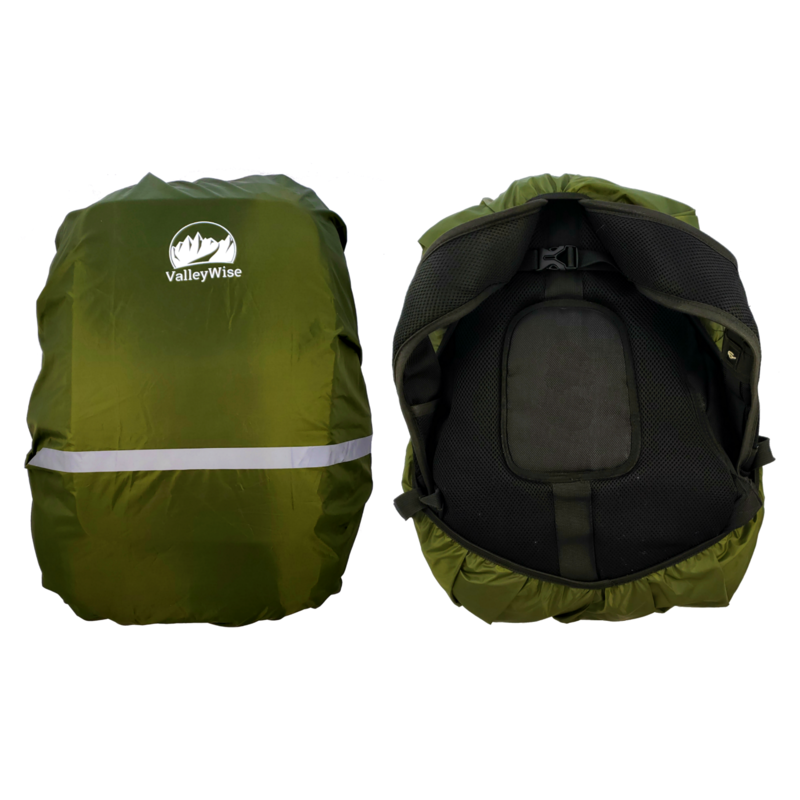 Our goal is to make the selection process as easy as possible which is why we selected the perfect size to fit the vast majority of backpacks used by the average person. If you have any questions, please don’t hesitate to reach out to us. Customer satisfaction is our number one priority and always will be. Cheers! Easy to put on my everyday backpack, its lightweight and easy to store. Been keeping all this snow off me and my pack! We hike a lot and my son needed a waterproof cover without adding too much weight, this works great! Worked great in our big snow storm! Worked great when hiking to the local grocery stroe when we got over a foot of snow, everything was dry upon arrivial and return! Buy and Earn 598 Points!